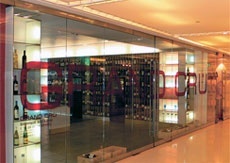 There are essentially four wine boutique chains in Moscow: Grand Cru, owned by importer Simple Wines; Kauffman shops, owned by importer Whitehall (VX Import); the Magnum and Decanter shops owned by importer DP Trade; and Kollektsiya Vin. They all have good high end wine selections but Kauffman gets the Best award nod for stocking a fair number of imports under 600 rubles, a rarity at the others. Azbuka Vkusa, which is at the expensive end of the market for groceries, stocks an extensive line of very good wines, including some you won’t find anywhere else. 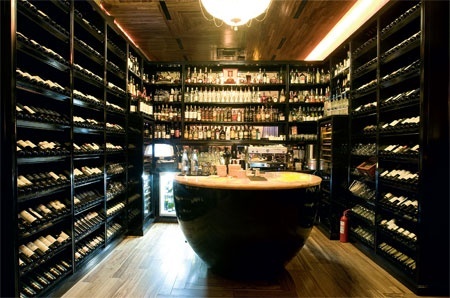 If you can get a Metro membership card (only representatives of legal organizations, not private individuals, are eligible for membership), their prices are the best in town and the selection is not bad, especially at a location where they have a VIP wine section (such as at 2 B Ul. Shosseinaya, Tel. 495-502-1900/502- 1978, open 24 hours). Metro is the place to buy case lots for the New Year party. The French-built and -run winery opened in the Krasnodar region in 2003 Chateau Le Grand Vostock is still well ahead with no close competitors on the horizon. This year Prime Minister Putin has been getting regular shipments and shared some bottles with French President Sarkozy. These wines make good value party wines: We recommend the entry level Terre du Sud white and red at 178 rubles and the oak-aged Cuvee Karsov midmarket red and white at about 415 rubles. Order online for delivery and ask for a Passport Magazine discount. Other Krasnodar wineries, Fanagoria for its Cabernet and Merlot (449 rubles) and Myskhako for its white wines, come in second. 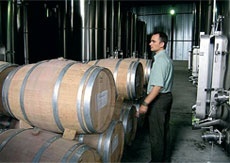 Both wineries have been assisted by flying Australian winemaker John Worontschak to create lines of decent Russian wines. It’s been over a year but we still can’t get over the surprising defeat at a Passport blind wine tasting of five of France’s best Champagnes by a $20 Crimean Novy Svet Pinot Noir Rose Brut 2002. The story even made the London newspapers. Still a good bet for a New Year celebration. Samogon from Stavropol region’s Praskovaya Winery available at the Stavropol Wine and Cognac shop. Fanagoria Winery’s Chorny Leker and Bely Leker, dark and light sweet and rich herbal wines from Kransodar region. A sure hit with Russian guests. A Tuscan white, Cervaro is primarily Chardonnay (85%) moderated with the Italian domestic grape Grechetto. It scored a Wine Spectator 94 and high in Passport wine tastings. A Grant Dodd import, this Chardonnay has been named best white more than once at Passport wine tastings. Another Grant Dodd import, a Shiraz (62%) and Cabernet Sauvignon blend. Surprise, a Greek white wine — there have been some real improvements in the industry, thanks to self-taught winemaker Paris Sigales who holds a degree in mathematics at the Sorbonne. Bright, crisp — just what you need from Sauvignon Blanc. Or any other white Vouvray from this extraordinary biodynamic winery. On my Christmas list. This is the entry level Super Tuscan Merlot-Syrah-Sangiovese blend from Ca’Marcanda, a Gaja estate near the village of Castagneto Carducci. There are three Seghesio Zins available in Moscow, and they range from 1,013 to 1,705 rubles — these may be the best of the few California red wines in town. Hardy’s is Australia’s giant but they know how to produce consistent wines from year to year that consumers love. The highest score for a white at Passport’s New Zealand winetasting. A blend of Chardonnay, 32% Verdelho, 16% Semillon. Very tasty. Sells at Sedmoi Kontinent for under 500 rubles — a bargain price for such a superb wine. This Shiraz is one of the world’s biggest sellers to be found in almost any country. An Italian classic grape from an innovative winery in Chile’s northernmost wine district. Well structured and smooth.